I realized that I can get to a total walking mileage of 2,500 for 2015 if I walk 9.8 miles per day for the rest of the year. That’s not impossible, not at all. I…I might need to make it happen. But we’ll see. Counting today’s mileage, I’ve officially walked 1,000 miles since May 1st. It’s taken me nearly 11 solid days of walking to do it, but there ya go. 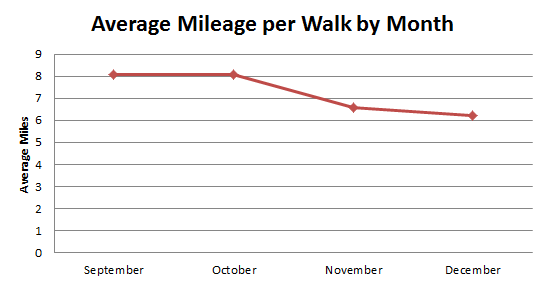 That means I’ve walked 1,750 miles for the year, which surpasses my goal mileage, 1,500. YAY! 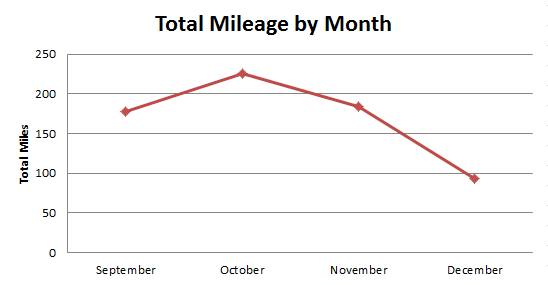 It also means that I’ll have to try for 2,000 miles total by the end of the year. Impending Canadian winter cannot stop me. Heeeeeeeey, so I don’t know why I waited like a week for this, but what the hell, have some walking statistics for my time in Calgary so far! 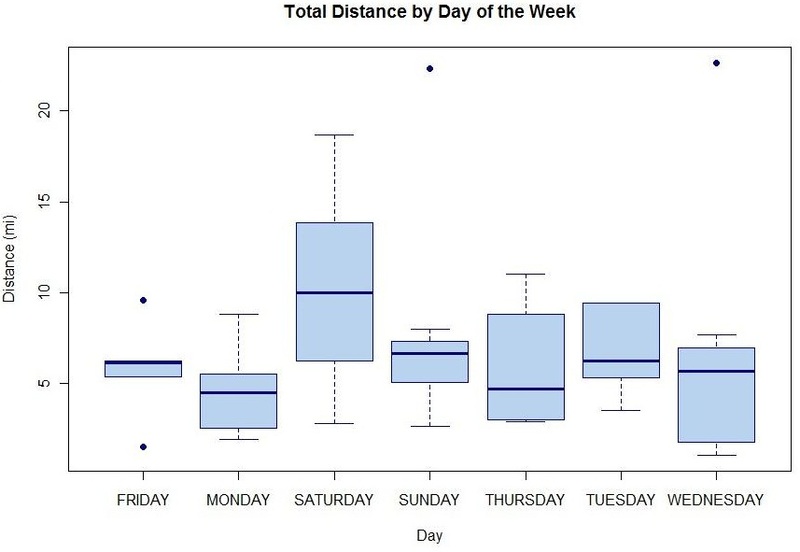 Did I meet my average of 50 miles per week? No. I blame finals. But that’s okay, considering that last year it took me eight months to go 1,000 miles and this year it took me only about 3.5 months to walk nearly 700 miles. I bumped up the pace quite a bit, I’d say. Want some line graphs? You know you do. October was a good month. Stay tuned for a later blog post in which I set my yearly mileage goal for 2015! Let’s put my 10,000 Days goal into some perspective: I am approximately 25.5 years old. Do you know how many days I’ve been alive? Nine thousand, three hundred and forty days. So if I had been blogging from the day I was born, I still wouldn’t have reached my goal yet. That is like eight levels of psycho. As it stands, I’ve got about 20 years of blogging to go before I hit 10,000 posts. That is a long, long time, my friends. Think it’ll happen? I hope so! I hit 1,000 walking miles (1,609.34 km) for the year today. There are approximately 1,000 miles between Portland, OR and San Diego, CA. There are approximately 1,609 km between Paris, France and Naples, Italy. Which is all cool, except all that was done within the city limits of Moscow (except for one walk to Pullman). I have to get to a bigger city, man. 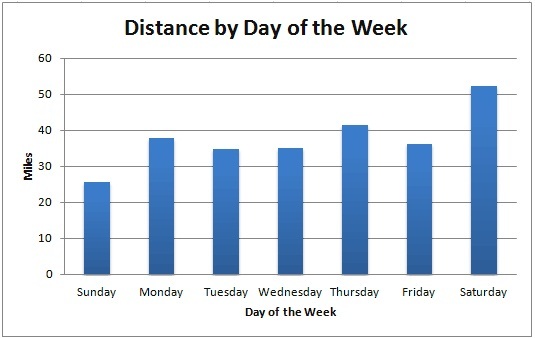 Note: some of those actually occurred on the same day, so the daily totals are actually usually higher than 9 miles on the weekends. I know it’s not a LOT of miles, but it’s pretty good considering that I spend about 14 of my waking hours on campus doing schoolwork. So my realistic goal for the year is a total of 1,500 miles; my (probably) unattainable goal is 2,000. We’ll see how it goes down this summer. And I’ve been putting my walking-related posts under the “health” category, but I think I’ll start putting them under “travel.” Because really. Oh, also: I’m addicted to Minecraft now. Or at least I’m getting there. I’ll have more time to be addicted once the semester’s over (NOTHING COMES BETWEEN ME AND MY SCHOOLWORK, NOTHING!). So as you may have read, one of my New Year’s resolutions is to revamp my 200 Books list and start over with it, this time writing a review after each book. So that’s what I did today! New list is posted in the 200 Books tab. The almighty random number generator told me that the first book I shall be reading is The Remains of the Day by Kazuo Ishiguro. This was on my old list, but it was one that I never got to because it was always checked out from wherever I was trying to get it. But it was miraculously on the shelves this afternoon, so I picked it up. I can’t guarantee any sort of time frame for when these reviews will be posted, especially since this semester looks like it’ll be crazy busy. But I’ll try to do them at a reasonable pace! Crossed-out items are ones I’ve completed, obviously. 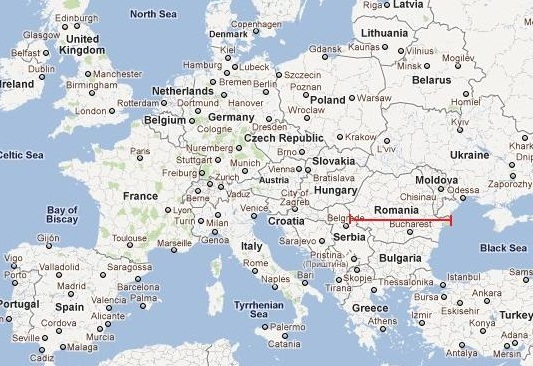 Since February 26th of this year, I’ve walked* the equivalent distance of the span of Romania. One of my 101 in 1001 goals I added a month or so ago was to have walked the equivalent distance length of Idaho over the course of the year (that’s 479 miles, approximately). But then, when I was researching the lengths of states and various other things, I found out that the distance across Romania is pretty similar (approximately 460 miles). Since saying that you walked the span of a country sounds a lot cooler than walking the length of a state, I changed my goal. It’s a little shorter in reality, sure, but I figure I’ll hit 479 miles soon enough, anyway. I took a 9-mile walk this afternoon that brought my total to 464.89 miles. And you know I can’t do anything like this without bringing you all some STATS! *Walking distance includes only “intentional” walking times—times I walked to walk (including all Canadian Mall destinations)—and more specifically, the times I actually had my iPod Touch with me and utilized the iTreadmill app and excludes distance accrued while walking to/from campus, going to the grocery store, prancing around the house, etc.